One of the longest serving sports broadcasters in New Zealand, Keith Quinn has had an exceptional career as a presenter and commentator. He has worked for the NZBC and TVNZ, in its various incarnations, since the mid 60s, covering every Rugby World Cup since 1987, along with eight summer Olympics, ten Commonwealth Games, and three Paralympics. Quinn has come to be known as the voice of All Black test rugby in New Zealand. He commentated his first test on television in September 1973, when England beat the All Blacks at Eden Park. Quinn was just 27. Born in Te Kuiti but raised in Wellington — where he has lived most of his life — Quinn was a dedicated rugby fan from an early age. As a child he filled notebooks with sports scores both real and imaginary, was a big fan of "spellbinding" radio commentator Winston McCarthy, and once recreated an All Black test in the backyard, playing both teams and commentating as he went. Quinn credits his memory for scores partly to hiding up the street, so that he could beat his four brothers to the sports results when the newspaper arrived. In terms of his own time on the field, Quinn would later reach senior B club level at both rugby and cricket. Dreams of becoming a sports reporter began early. But Quinn was a shy child, and needed encouragement from his Scottish mother to front up for a possible job as a cadet at the NZ Broadcasting Corporation. He began in 1965, weeks after leaving school, though it would be another two years before he managed to win a position in the sports department. In 1968, having already made his radio debut, Quinn finally made his first television appearance, on Wellington station WNTV-1 — a disastrous live summary of the day's sporting highlights, after the editor accidentally screened the clips in the wrong order. 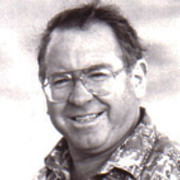 Quinn did his first rugby commentary on radio in 1971, at the age of only 25; in 1973, a year after the NZ Rugby Football Union first allowed rugby games to be telecast live, he commentated his first test for television, England versus New Zealand. Since then Quinn has travelled with the All Blacks on 30 plus tours around the world, and broadcast on the world seven aside rugby circuit more than 70 cities. He has been to the Hong Kong Sevens 21 times since 1988. Inspired by renowned BBC commmentator Bill McLaren, whose approach was to research every player and reserve in a match, Quinn set out "to find out something about everybody in the game" — helping bring individual players alive to viewers. Aside from rugby, Quinn has gone on to commentate "just about everything": from swimming to motor sports to table tennis, to a failed attempt to reinvent a television-style version of horse-racing. He has a special fondness for the Olympic Games, describing the event as "the ultimate sporting thrill". At his second Olympic Games in Montreal, he called John Walker's gold medal in the 1500 metres, alongside Olympic medallist John Davies. Quinn's intentional silence during the race's final moments has been shortened in later edits. It would be another 32 years before he commentated his second Kiwi Olympic gold, when Valerie Vili (nee Adams) won the women's shotput in Beijing. In the 80s Quinn was shunted upstairs to spend four years as Southern Editor at TVNZ's sport department. Alongside Northern Editor Kevin Cameron, he helped arrange coverage of the 1984 Olympics. Later a paper Quinn submitted played a big part in how the first Rugby World Cup was scheduled; thankfully management changes enabled Quinn to rejoin the commentary team in time for the games (working with Grant Nisbett and Brendan Telfer). Shortly after joining the Commonwealth Games team in Kuala Lumpur, Quinn was asked to front and help storyline definitive series Legends of the All Blacks. Tracing the history of the team, the six-part series began with a feature-length first episode. Quinn rates the show as "one of the most enjoyable and stimulating experiences of my life". Among the many veterans on camera, Quinn got a headline grabbing interview with ex Springbok prop Jaap Bekker, in which Bekker revealed a tragically bungled 1956 Springbok plot to "get" All Black Kevin Skinner. Quinn has written 14 books, mostly on the subject of rugby, including the Encyclopedia of World Rugby, which went to three global editions. His own life story A Lucky Man was published in 2000. Since leaving TVNZ in 2007, Quinn has continued to broadcast on various radio stations, and write weekly columns on sport. In 2009 he joined Sky TV as presenter for a new show on The Rugby Channel called Test Match Stories. Two years later he joined the commentating team at Māori Television for the 2011 World Cup. Quinn can also be heard commentating fictional rugby matches in Robert Sarkies film hit Scarfies, and Wales versus All Blacks romp Old Scores. In the 1997 Queen's Birthday Honours, Quinn was made a Member of the New Zealand Order of Merit (MNZM) for services to sports journalism, and in 2005 he was awarded the International Olympic Committee's Sport and Media Trophy. Over the years, some moments from Quinn's broadcasts have passed into Kiwi legend. One of his best-remembered pieces of commentary, from the 1995 Rugby World Cup, accompanied a piece of action that for once left him almost speechless — his exclamation of "Oh! Oh!" as Jonah Lomu steamrollered England's Mike Catt on his way to the opening try of the 1995 cup semi-final. Outside of his broadcasting work, Quinn is a great music fan, with a particular passion for the Beatles. He has a collection of over 500 books on the band. Profile written by Ian Pryor.